The Focus Student Editions are designed for Spanish language courses in literature and culture. Prepared with non-native Spanish speakers in mind, these editions include an introduction (in Spanish), the complete work, and linguistic and cultural notes in Spanish, a current bibliography and study questions. This Focus student edition is a Spanish drama of women in the villages of Spain. 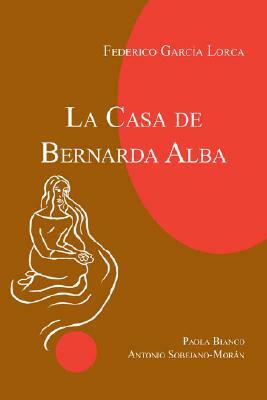 The play centers on the events of a house in Andalusia during a period of mourning, in which Bernarda Alba wields total control over her five daughters. Paola Bianco (Ph. D. UNC, Chapel Hill) is Associate Professor of Spanish at Wilkes University. She has published books and articles on poetry, literature, Italian culture and Hispanic women writers. Antonio Sobejano-Moran (Ph.D. Michigan State University) is Professor of Spanish at SUNY Binghamton since 1986 and he has published extensively in the field of Spanish literature. He has served as AP table leader in Spanish and Latin American literature for ETS.